Beat egg yolks, add sugar, corn starch, cream, spices and beat. When ready, fold in stiffly beaten egg whites. Pour in crust and bake 1 1/2 hours. 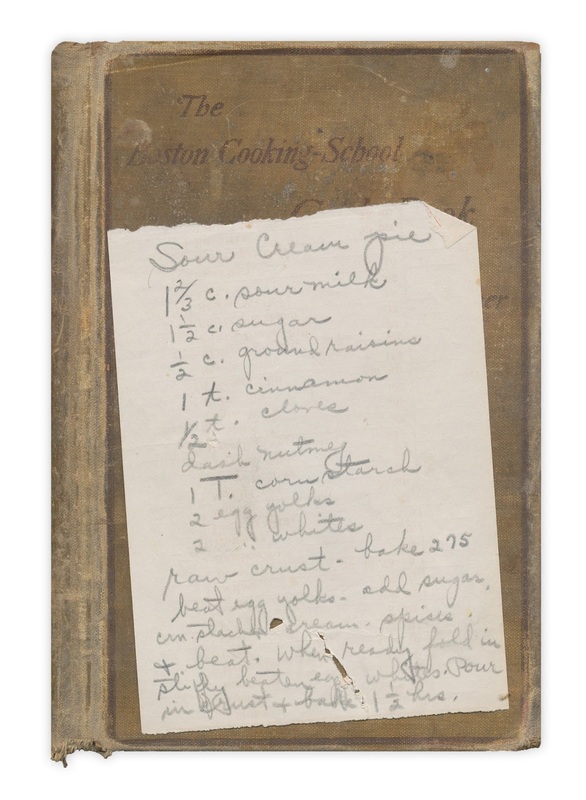 Found in a very well-worn copy of "The Boston Cooking School Cook Book" by Fannie Merritt Farmer. Published by Little, Brown, 1912.